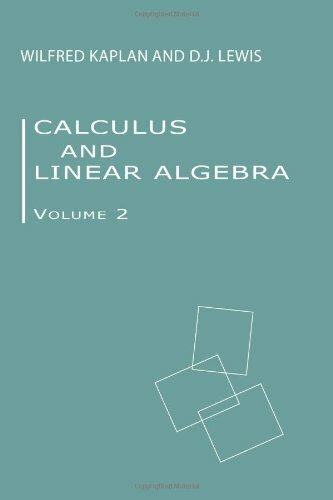 In the second volume of Calculus and Linear Algebra, the concept of linear algebra is further developed and applied to geometry, many-variable calculus, and differential equations. These topics are so closely related that the subject matter is revealed here as one well-defined, tightly knit bod of mathematics. by K.D. Stroyan - Academic Press, Inc.